There isn't much to say about this mod. It transforms dropped items from flat images to 3D, like when you hold items in your hands. 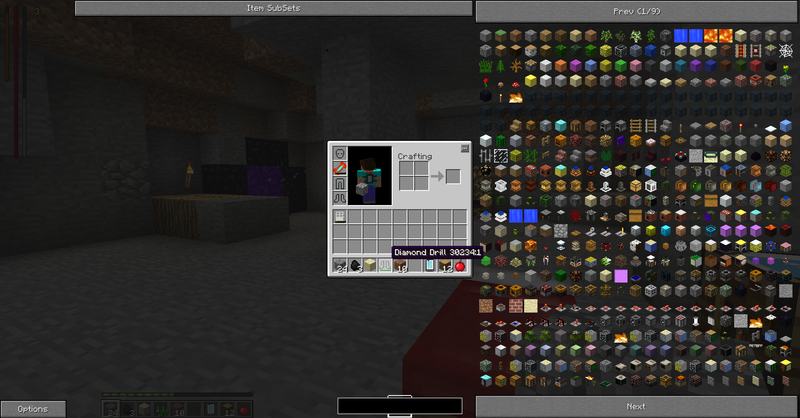 This mod does work in SMP. As of v1.5, this mod requires Forge and does not edit any base files. example of what this mod does. If you wish to support me, feel free to donate! Download this correct version of this mod from the link above. Copy 3DItems.jar into your .minecraft/mods folder. If you like this mod, please click the button. Would this increase lag significantly in most cases? In theory, yes, but only if you have a massive amount of items lying around. When I came on this forum I was like "WOW! I haven't been in the modding section for a LONG time!." I wouldn't expect this to come from a relatively new modder with several out. What? You think I can't make a good signature? Well... You're right.. This is great! I have been looking for a mod like this ever since I saw the same feature in Evil Minecraft! Not so useful, but ****ing cool. and i see that your iron door has a durability bar. XD that's pretty weird. Looks like this isn't compatible with Forge. I'll make a patch for that. Don't you own something like Quintinity modding? Added a Forge patch, for maximum compatibility!